As of July 1, Belizeans will see an increase in their electricity bills. The Public Utilities Commission has approved a 6.24 percent average increase in the Mean Electricity Rate, an increase from its initial decision made some weeks ago. This translates to just under forty cents per kilowatt-hour. This is the PUC’s final decision in respect of the 2018 Annual Tariff Review Proceedings for the Belize Electricity Limited for which the company made submissions in April. It had asked for average rate of 39.25 cents over the two year period but the Commission approved an average rate of 38.62 cents in May. BEL objected and an independent expert, Ian McMillan was appointed to review the initial decision and make recommendations for the determination of regulated values, Tariffs, Fees and Charges that were included in the PUC’s final decision. In a press conference this morning, John Avery, chairman of PUC elaborated. John Avery, chairman of PUC: The independent expert basically disagreed with BEL for several of the objections, the particular points they raise in their objections and he agreed with some of them but reserved any changes being made during this FTRP but that perhaps the PUC may consider making some changes in the way the rates are calculated and dealt with in the next full Tariff period which will start 2020. The PUC basically accepted most of the recommendations of the expert and in fact several of them were measures we intended to undertake immediately after this decision was made final to tweak the setting methodology to try to enhance it and to change the way in which BEL makes it submission so that we have better information to ultimately make better decisions as perorate setting methodology we didn’t make any adjustment to the OPEX however the adjustment to the RAV that affected the depreciation, the return, it affected the corrections and with the increase in cost of power all of these basically resulted in a slight increase the approve rates as compared to the initial decision. The initial decision had basically approved of a 4.41% increase of the final decision and the final decisions approves at 6.24% increase. 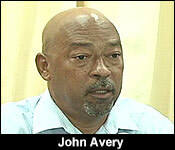 Avery adds that the Commission is satisfied that the decision is fair to consumers and the supplier. John Avery, chairman of PUC: The role of the PUC is to strike a fair and reasonable balance between consumers and the licenses so really when we are setting a rate what we are looking for is a fair rate and I would say we can perhaps improve but we try our best and so we really believe that customers aren’t being gouged. There can be better decision making and planning but as I said you work these things over time and we will be engaging BEL over the next few months and you may see completely new type of submission and rate setting well not a completely new but a revised rate setting process for the 2019 annual review procedure. The independent expert’s final report was produced on June 12. According to Avery, bylaws do not allow BEL to object to the independent expert’s analysis and final report on Annual review proceedings. If you've been looking on with concern about the rising cost of living, tonight, you may want to think about ways to cut down on your electricity consumption. That's because the Public Utilities Commission has approved an increase in your electricity rates. Those mean electricity rates will increase from 36.9 cents per kilo-watt hour, to 39.3 cents per kilowatt-hour effective Sunday - and it will remain in effect for two years. That's a 6.24% increase, still less than the 7.1% increase that BEL was requesting. At the initial stage, the PUC was only prepared to increase it by 4.4%, but BEL objected, and an independent expert had to be brought in. After the review by this expert, it was decided that the PUC would lean more towards BEL's initial request. "So, we put out that 2018 ARP initial decision and BEL subsequently objected to the decision. They had, over the two year period, asked for an average rate of 39.25 cents and the Commission had approved an average rate of 38.62 cents; they objected to the decision. The Commission, in consultation with BEL, appointed an independent expert, I think that was done on May 23rd and subsequently he met with BEL with us, reviewed all the objections made by BEL and looked at some other matters that may have had an impact on the initial decision. He produced a report on June 12th, that report of course was shared with BEL. Under the ARP by laws it does not allow for any objections to be made on that report. The report was received, reviewed by the Commission and it resulted in several changes to the values and ultimately the main electricity rate that was approved." "What we did notice, and we actually pointed it out to the independent expert and he did make a recommendation on that regard, is that in our initial decision, when we recalculated the values and the rates for each year, during the 2017 to 2018 period, the period we are in right now, we calculated a rate of about 39 cents from BEL and the current rates right now are a little over 37 cents. So we expect that there will be a short fall in revenues based on the rate setting methodology for BEL in the current period. BEL was asking us to make corrections with regards to the months that were already completed in this year. The independent expert and we agreed that for the last 10 years we have been making corrections for completed periods; so, it is best to continue with that process for now. So, this little short fall that is expected during this year was also considered and that factored in increasing their mean electricity rate from 38.62 cents in the initial decision to 39.3 cents in the final decision. The increase in the mean electricity rate from 38.62 to 39.3 cents basically means that there is an average increase in the current mean electricity rate of about 0.24%." "I think over the years, in many instances, although I wouldn't say we have bad working relationships with the utilities, from time to time you'd see them objecting to the way we try to execute that mandate. They always want more and we try to be reasonable. In effect, the role of the PUC is to strike a fair and reasonable balance between the consumers and the licensees. So, really when we are setting a rate what we are looking for is a fair rate. I would say we can perhaps improve but we try our best and so we believe that the costumers are not being gouged." These new electricity rates take effect on Sunday, July 1, and runs all the way up to June 30, 2020.